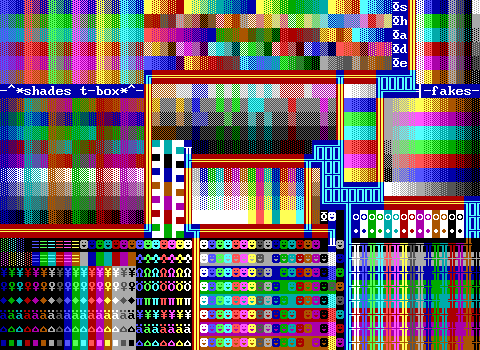 MS-DOS program to convert images drawn with the program "The Draw" to ZZT boards. The Draw is also included with this zip file. A modification of ZZT which removes the sound effect played when the player touches water, as well as the messages from touching water, fake walls, or forest. 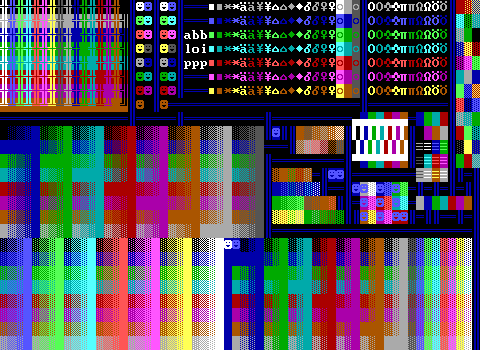 An alternative font editor for creating custom graphics for ZZT worlds. Plays ZZM music files. Now with better representation of 64th notes, better screen updating, and many other features. Does not appear to list files correctly in DosBox leading to crashes. 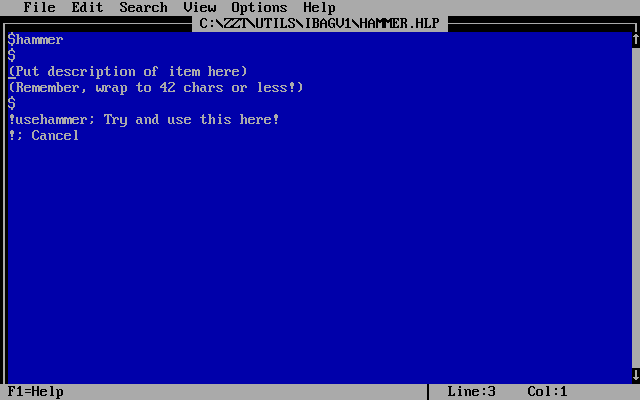 A ZZT file manager. Create categories and use them to organize your ZZT worlds. The vague documentation makes this very difficult to use. 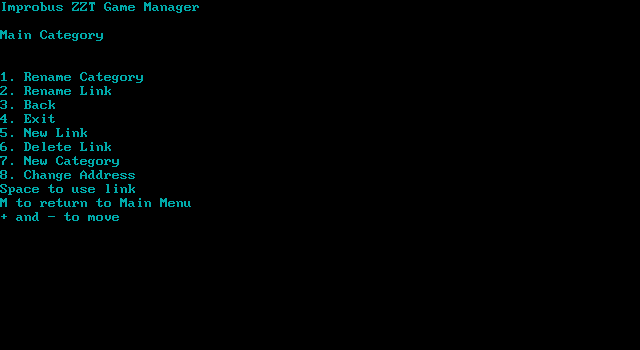 An updated version of this ZZT file manager. 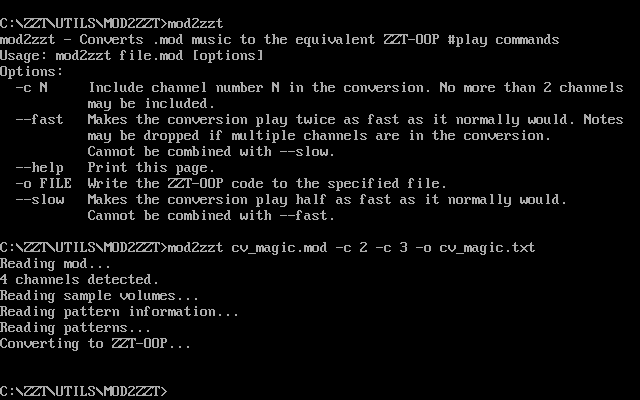 The interface is easier to use, but it continues to not explain links and categories and addresses and what all this means for launching your ZZT worlds through it. 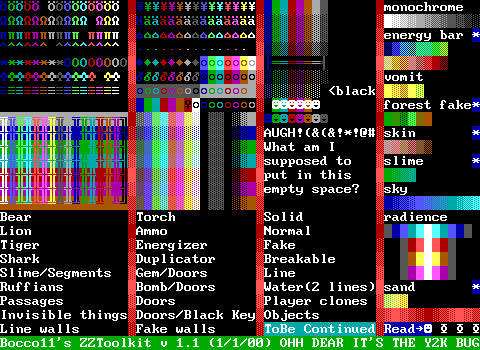 A modified version of ZZT which makes a few changes to the game's graphics and ZZT-OOP syntax. 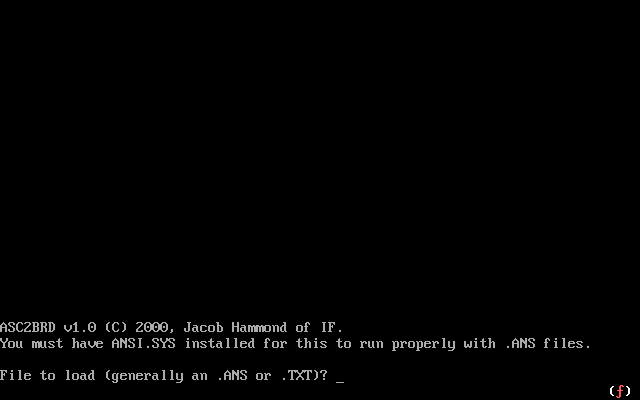 MWZZT uses unique extensions to prevent compatibility issues of loading ZZT/MWZZT in the other program. 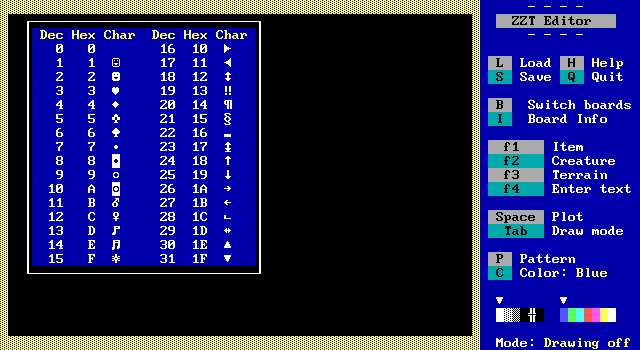 The only MWZZT game produced, a version of Town of ZZT with minor graphical upgrades is included.